To the left is a package of Vieux-Lille cheese from Lesire et Roger, dairy and cheese-makers established in the green Thiérache region of France since 1923. This area is one of the rural enclaves of the French north, it counters perceptions of the general area being industrial or commercial in aspect. 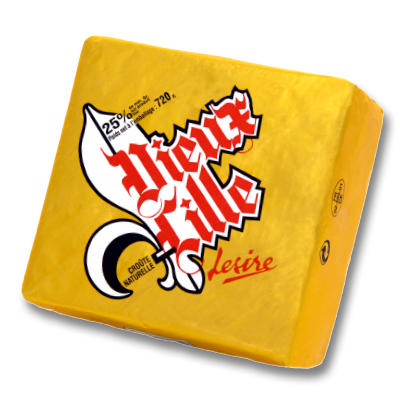 Lesire et Roger make a range of cheeses traditional to its area, of which Maroilles, which I discussed yesterday, is known nationally in France and internationally as one of France’s best cheeses. Vieux-Lille, which has numerous names (Gris de Lille, Puant de Lille), is a variation of Maroilles, hence all-cow’s milk. It is matured for longer though and is immersed for a time in a brine solution. This imparts a particularly salty note and alters the flavour. It also means the cheese has no rind, just a slightly thickened skin which is sometimes scored to give it an élan. There are different explanations for the origin of Vieux-Lille, which seems to have come to notice in the late 1800s. Some state that miners enjoyed it and from there it spread to the general population. 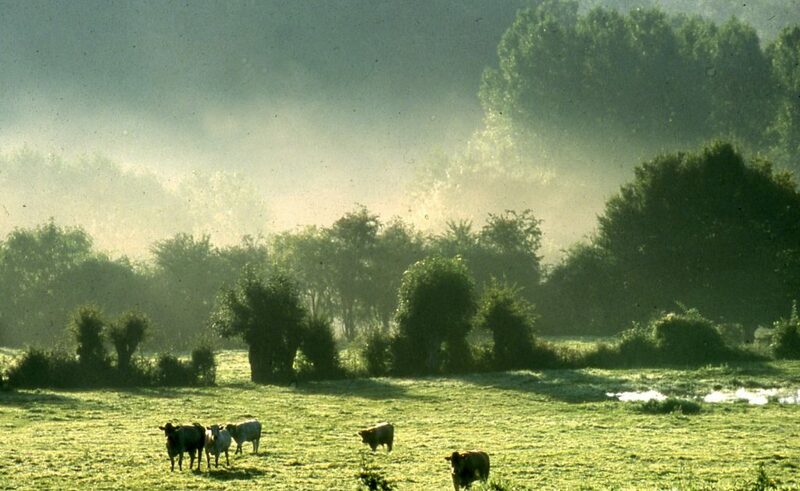 Others insist on a mining connection, but say miners from other regions of France, the Pyrenees being one, brought the idea to the French north when they moved there to work. Another theory is the cheese was developed so it would keep when transported by horse-carriage to Lille from dairy areas to the east, i.e., before refrigeration. One thing all agree on is the powerful flavour of Vieux-Lille. 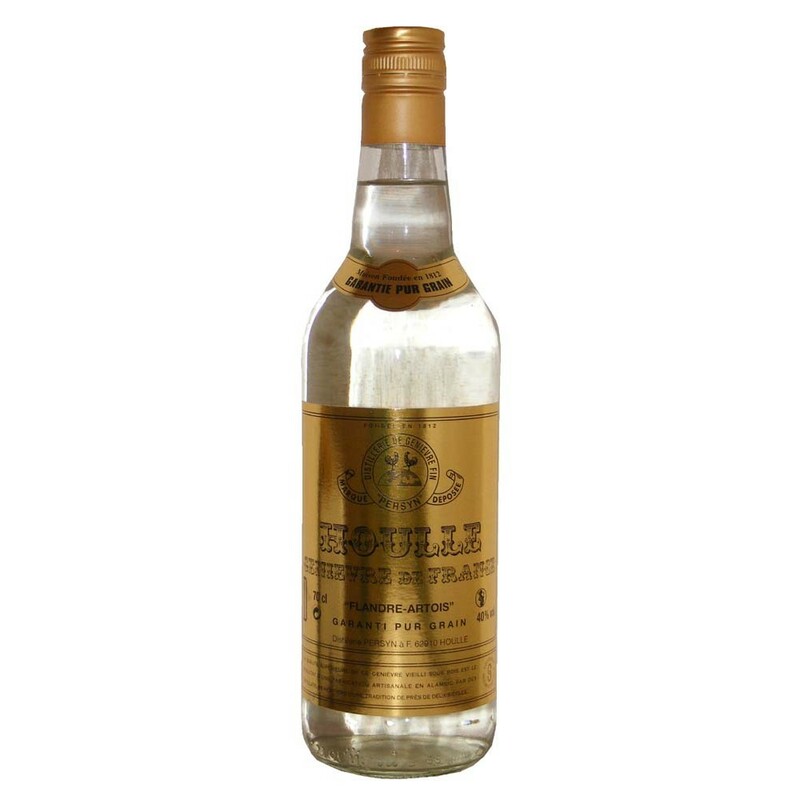 Maroilles, no shrinking violet to begin with, acquires an ammonia-like intensity of flavour under the influence of the salt treatment. A further, dry affinage is given the cheese when it might be bathed in beer or gin. To say this cheese is odoriferous is an understatement! Northern palates like the very strong taste, and the cheese is eaten with emphatic drinks: regional beer, country red wines of no great finesse, and the Dutch-type gin made in the north for centuries. Houlle is the great name here. The north is well-known for its bière de garde, a style of beer which is not dissimilar historically to the Belgian saison yet seems to have its own character. Originally, it was top-fermented, thus an ale-type beer although today some are bottom-fermented, lagers in effect. While it is hard to generalize, the gardes I was familiar with when touring the French north in the early years of the beer revival there were a kind of cross of Belgian, English and German tastes. Saint Landelin, Theillier, Jenlain, Ch’ti were and still are some of the star performers. Their common element was a rich, malty quality, and this would be an excellent foil for Vieux-Lille. The Lesire et Roger site recommends simply an “amber beer” to drink with Vieux-Lille, of which both Ch’ti and Jenlain are excellent, eminently local examples. 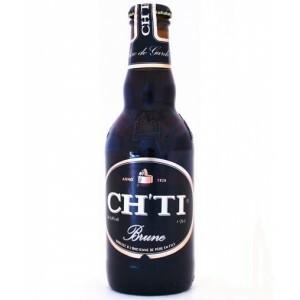 Most blonde lager would perhaps be too timid in palate to pair with the cheese, nor would sour styles, or bière blanche, really go with it, although personal preference must rule. A deep, amber beer with good hopping is the best choice I think. Vieux-Lille is part of a tradition which appears dotted along the mid-northern frontiers of Europe. Limburger in Germany, while a different taste, is the same type of idea, as is the (closer) Belgian Herve. (Limburger originates in Belgium anyway, it might be added). Some Scandinavian countries have artisan, very strong cheeses which result from preservation strategies devised before refrigeration. A recipe from the restaurant Le Square, in Lille, combines Vieux-Lille with beer to make an appetizing-sounding cheese fritter. Comments posted to the article suggest Maroilles or Munster as a replacement for Vieux-Lille. Note re images: the first image above is from Lesire et Roger’s website. The second image, from the French tourism site, here. The third image, from this retailer. The fourth, from this retail supplier, here. All are believed available for educational and historical purposes. All feedback welcomed.